In order to change the world, you need to see it! Our International Engineering Education study abroad program provides students with an opportunity to begin their journey toward becoming an engineer of the globalized 21st century. Having an understanding of the global marketplace Texas Engineers to become entrepreneurs and leaders who can successfully innovate, manage, develop and implement technology to find solutions to global challenges and needs. With more than 400 engineering students participating in study abroad annually, these programs are not only a great way to see the world and further your engineering education but to also expand your community. There are programs available for nearly every engineering focus so pack your bags, the world is your classroom. Short-term programs are designed specifically for engineering students to further educational growth, experience industry immersion or research abroad. Whether you want to spend a semester in Asia, Europe or another faraway place, semester-length programs will give you the full living abroad experience. We encourage students who would like to study abroad during their time in the Cockrell School to work with their academic advisors to plan ahead. 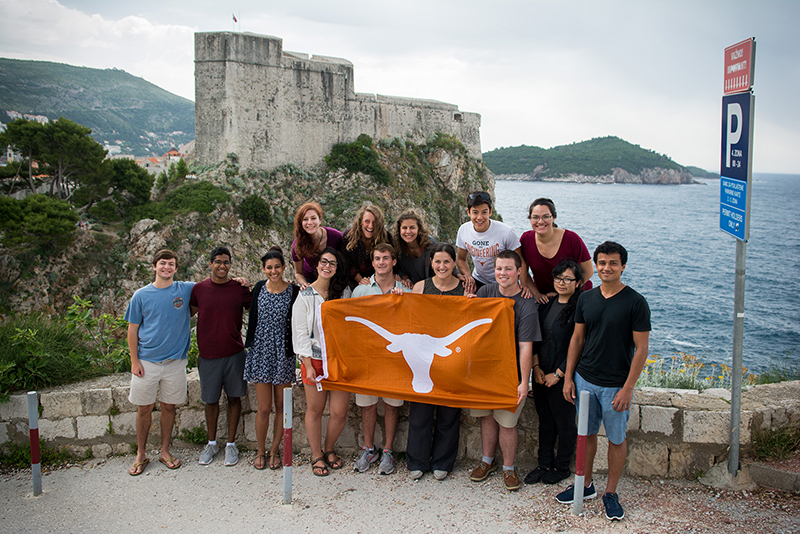 The Cockrell School's International Engineering Education (IEE) Office coordinates with faculty and international institutions and helps students apply and participate in engineering-specific study abroad programs, in addition to other exchange programs offered by UT Austin. For more information, contact the IEE office at iee@engr.utexas.edu.